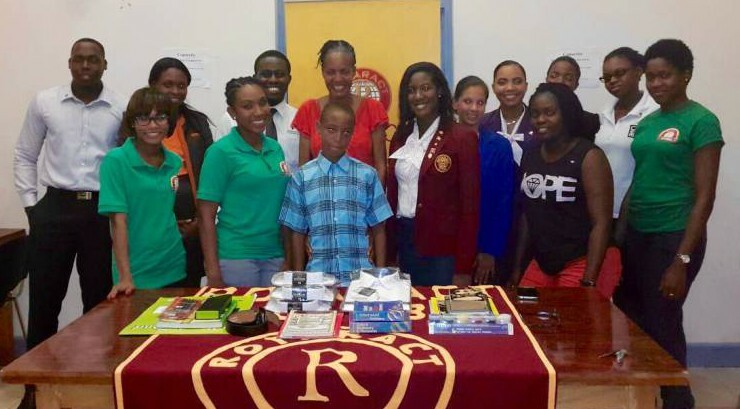 The Rotaract Club of Grenada is announcing the induction of Trevette Redhead as its most recent scholarship recipient. 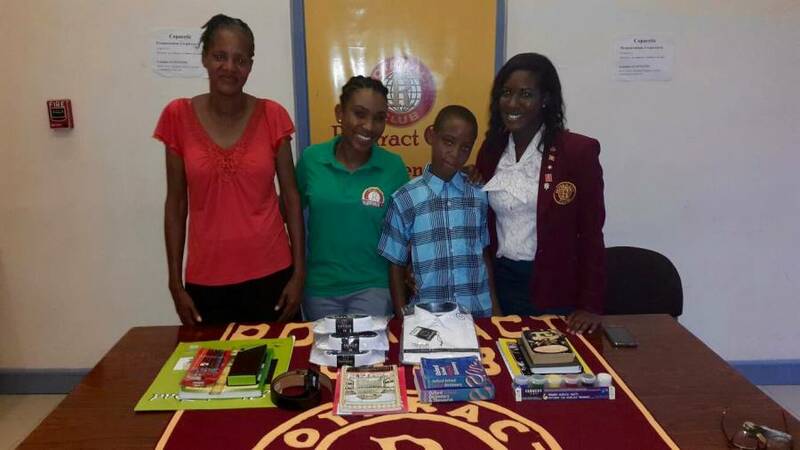 Trevette, who is entering the Grenada Boys Secondary School, will receive assistance from the club for the duration of his Secondary School journey. The Scholarship Programme will be providing Trevette with essentials for school including textbooks, uniform, shoes, stationery and school supplies as well as tutoring and mentoring when necessary. An induction ceremony was held on 2 September at the Ministry of Education, which formally welcomed Trevette and his mother as extended members of the club and also officially handed over all scholarship items. The programme is the brainchild of the Community Service Committee of the Rotaract Club, led by Director Kizzy Simon. During the developmental stages of the programme, Ms.Simon and her team engaged the Ministry of Social Development for guidance and were provided with Trevette’s profile for consideration. The Rotaract Club remains committed to assisting the educational sphere in Grenada and will be launching their Annual Spelling Bee during the upcoming weeks.